Dan Jones has sold over 100,000 books, 500,000+ of his Self-Hypnosis Mp3's downloaded, over 4.5 million view of his videos and over twenty-five years experience with hypnosis, therapy and the healing arts. He has a wide range of popular Udemy courses and over 25,000 unique students from 161 countries. Dan Jones is an autistic best selling self-published author and hypnotherapy and psychotherapy trainer. He is one of the UK's leading experts on Ericksonian Hypnotherapy. Described in the British media as 'Remarkable', with 'Expert Insight', and 'Personal Development Guru...the UK's Leading Personal Development Coach'. Dan has over 25 years experience, he has carried out research into the effectiveness of using the Human Given's Counselling Approach to reducing youth crime and anti-social behaviour with a Youth Offending Service (this research has been published in the peer reviewed journal 'Human Givens'), and is a Trance-Formation Coach and founder of the Sussex Hypnotherapy Centre. Dan Jones has held personal development and staff training courses within the local county council and district council on many topics including adult and child safeguarding, safety awareness, conflict resolution and breakaway techniques, and stress management. He has taught courses for young people with local youth projects, and held courses on parenting and managing challenging youth in various secondary schools and primary schools. He has taught staff in various children's homes topics like stress management, managing challenging behaviour and conflict resolution, and carried out clinical supervision with hypnotherapists and professionals working with individuals and families, as well as holding training courses in the UK and abroad for professional students on hypnosis, therapy and healing, and courses for 'self-help' or 'personal development' on well-being, mind-body healing, self-hypnosis, overcoming phobias, weight loss, and using dreams therapeutically, and courses on parenting and family work, including child/teen to parent domestic abuse, helping children to sleep, and managing children/teen's challenging behaviour, and effective parenting techniques, to family support workers, youth workers and social workers. Dan has also worked on, and been consulted for TV Programmes like 'The Anatomy of Fear' and 'Big Brother' and has been interviewed by a variety of magazines, newspapers and radio programmes in the UK and abroad. Dan has also written over ten books on hypnosis, therapy and parenting including the number 1 Hypnotherapy Bestseller 'Advanced Ericksonian Hypnotherapy Scripts' and number 1 Psychology Biography Bestseller 'Look Into My Eyes'. Some of Dan's books have been published in more than one language. 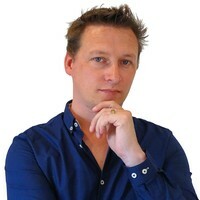 Dan has also created a wide range of free and 'paid for' hypnosis and therapy training and personal development products, and runs the UK's premier accredited Ericksonian Hypnotherapy Practitioner Level Diploma.